Blue Blaze is a piece of art, and interactive transmedia sculpture by Wes Horn and powered by XtremeSignPost. It is located at 407 G Street. Installed at the bequest of the commissioning donor, it was placed conveniently in front of what is currently a Pet Feed Supply shop. 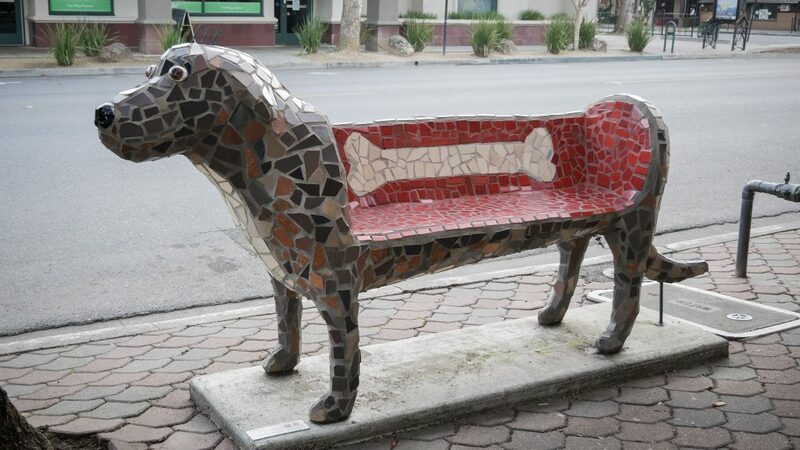 Wes Horn has completed several of this stunning dog benches, originally shown at the Natsoulas Gallery during its annual “Bark” fine art exhibition. Blue Blaze may be on the street, but this wonderful sculpture is a permanent pet of the community.